St Patricks Day Origami has to mean Shamrocks, right? That's what I thought of anyway, and why I decided to make a shamrock for a card I am sending to a friend. 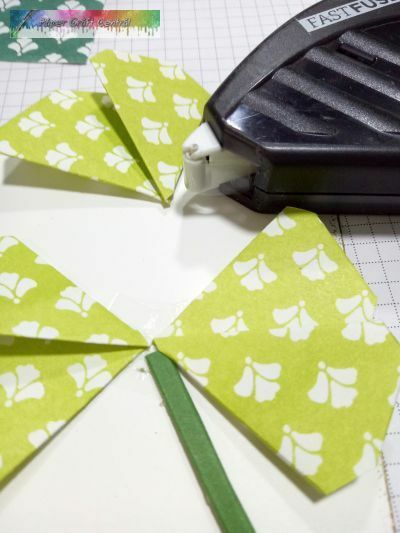 I found a tutorial that showed me how to make my Shamrocks. So following their steps, first I cut my Stampin' Up! Fresh Floral Designer Series Paper (DSP) into 3' squares. I chose Lemon Lime Twist as my colour as it seemed the most like a shamrock to me at the time, but Tranquil Tide would work well too. I needed two squares per shamrock. So I made a few more. 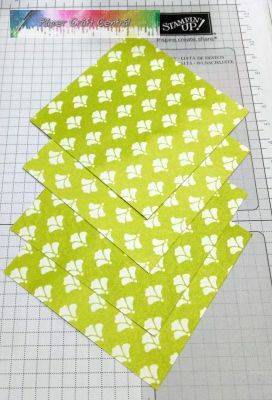 I also needed to practice making them before I used my good DSP, so I started with copy paper 3" (7.5cm) squares. Next I needed to start folding them. I folded each rectangle in half lengthwise, then folded the folded edge in like it shows on the diagram at ActivityVillage. I think shamrocks need a stem. SO I cut some thin pieces of Old Olive cardstock, scored them twice length-ways and used my Fast Fuse to glue them together. This way my stems had more dimension than flat cardstock strips do on their own. 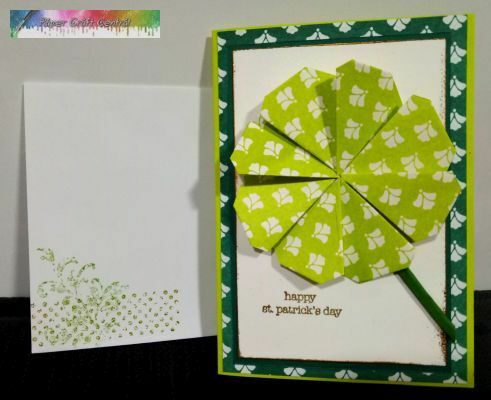 I liked the look of the stems with the Shamrock, then I started wondering if everything was the right size for a card? So I made a card. 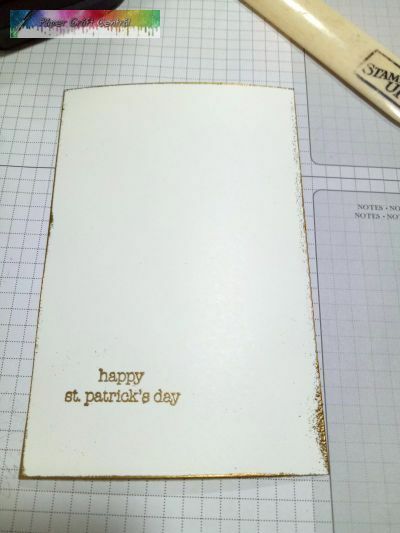 I stamped my greeting in Versamark and heat embossed it in gold. Then I ran the edges of my Whisper White cardstock along the Versamark pad and then through some gold embossing powder, and edged my card stock in gold. Then I took my Fast Fuse and laid some down where I wanted the middle of my shamrock to be. I added the stem piece first, then fit the leaves evenly around the middle, adding more Fast Fuse if I needed to. 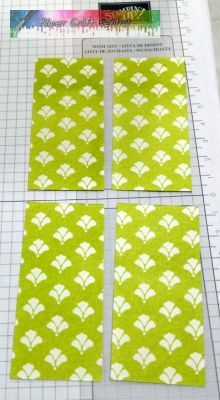 I layered my Whisper White on some Tranquil Tide card stock, then some Tranquil Tide DSP, then onto a Lemon Lime Twist card base. And voila! I had my card finished. With just a little playing around, I could see that the shamrock was going to fit well on the 12" x 12" page. This one was made out of 3" x 3" square paper, so you could make them smaller or larger to suit your own project. 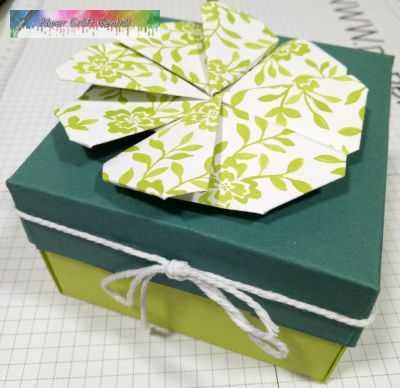 You can see that the St Patricks Day Origami shamrocks will look great on the top of a box too. 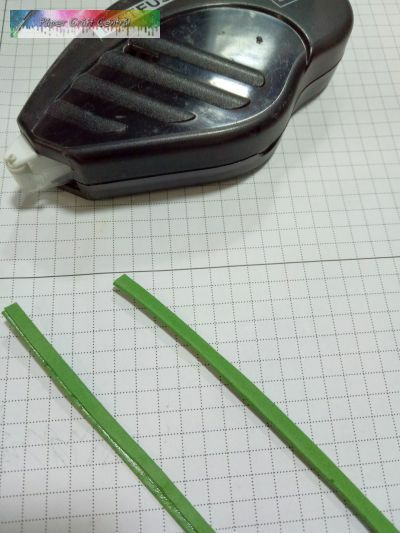 When you assemble them, you can cut a small square of cardstock to place your Fast Fuse on. Then you will be able to place them where you want on a box lid or side. This is a 3 1/2" (9cm) square box with the same shamrock I made gracing the top. 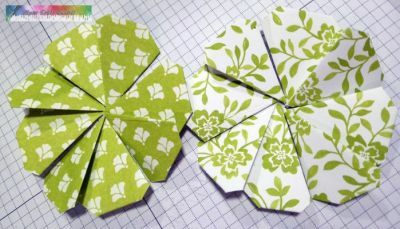 I hope you make lots of St Patricks Day Origami Shamrocks now. What else would you like to see made for St Patrick's Day? Let me know below. 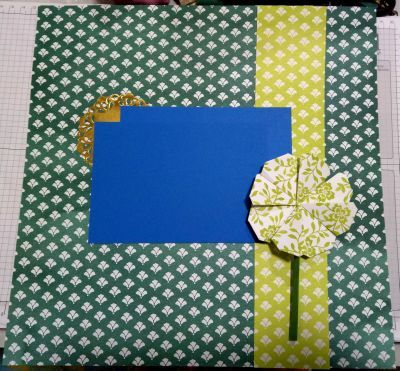 And I would love it if you would show me your own four leaf clover projects! Do you have some suggestions for how you would like to see this site grow? Do you have some ideas about ways PaperCraftCentral could grow and be more useful for you? 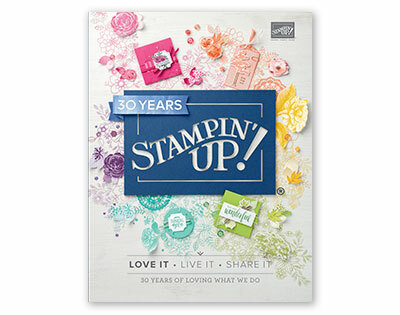 Would you like to see a Stampin' Up! 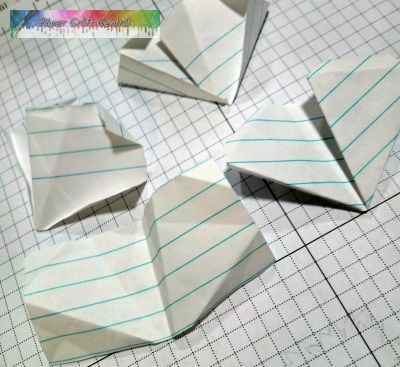 papercrafting technique, product or tool that I haven't featured yet? Help me build this site by submitting your ideas. Your idea or question will appear on a Web page exactly the way you enter it here. You can wrap a word in square brackets to make it appear bold. For example [my story] would show as my story on the Web page containing your story. 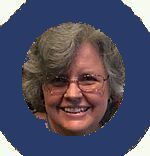 Do you have a picture to add to help Susan understand your idea or question?? Great! Click the button and find it on your computer. Then select it.